I just finished up a 3 day juice cleanse and I feel great! It all came about because of a very busy November and December where I didn’t eat well, didn’t do much yoga or any other exercise and I gained some weight. I was feeling awful, eating too much bread and sweets (too many homemade vegan cookies and vegan tamales) and a little too much dairy here and there which resulted in several nights of horrible tummy pain. Plus, I had started feeling congested all the time and my face was starting to break-out. Yuck! This all prompted me to take some major action and do a little cleanse and get myself back to being the green goddess that I usually am. It wasn’t easy, but it wasn’t horrible either. I followed a plan on Juices101.com (here is another) which was sorta based on the BluePrint plan, but added my own little twist. 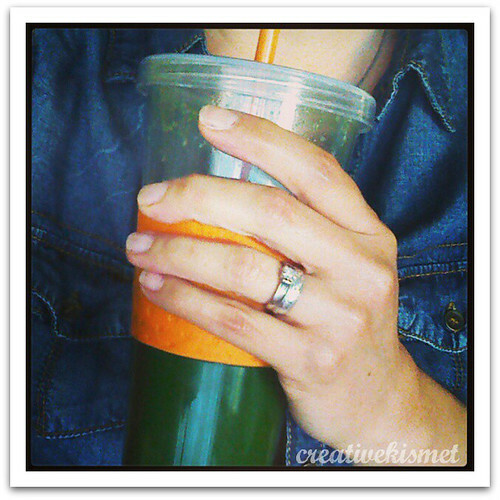 I’ve done 1-2 day juice cleanses before, but this one was way better. Instead of just drinking green juice all day, you drink green juice AND fruit juices AND cashew milk (which is super yummy). So all in all, it is a lot more satisfying. To help my brain remember what I did, and in case I want or need to cleanse again, I am going to write out exactly what I did. Maybe you are interested as well? Words of caution: It is possible to experience a whole list of detox symptoms, such as headaches, fatigue, shakiness, diarrhea, etc if you eat a lot of processed foods, caffeine, alcohol & meat. Also, check with your MD if you have any health concerns that need to be discussed. 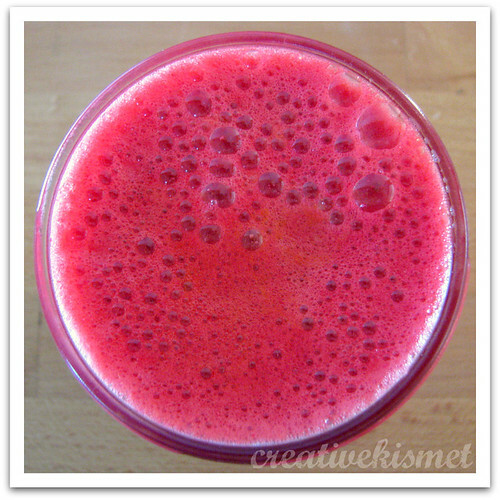 I have an Omega Masticating Juicer , which I have had for over a year now and use it often. I love it. Over the year, I have found that the prepping is much harder than the clean-up. To help with that, I bought all my fruits and veggies and washed everything and then cut everything except the apples, and beets. Then I separated everything into bags by juice & day. This way, I just grabbed a bag with everything I needed for that juice inside. I juiced all the lemons at once into a jar and just added what I needed to each juice. I only used the juicer twice a day. 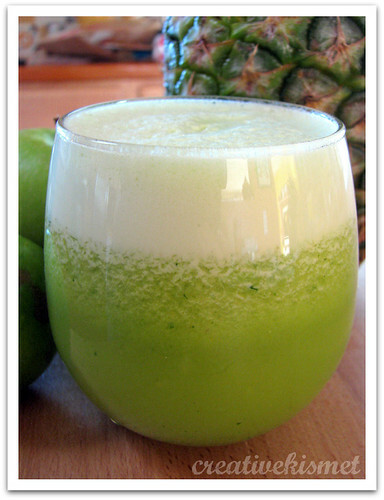 Did a double batch of Green Apple in the morning and the last two in the afternoon at the same time. 8pm – Cashew Dream : 1 cup raw cashews (soaked for at least 4 hours then discard soaking water), 2.5 cups water, 1 tsp cinnamon, 1 tsp vanilla and 1 Tbsp agave nectar). Combine everything in a blender and blend until smooth. I added 1 Tbsp cocoa powder on the last night to celebrate! 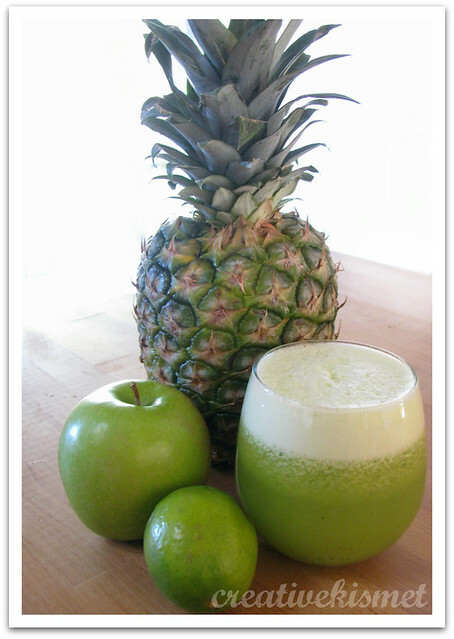 I am not new to juicing or green juices, so I thought all of the juices were really good. The Pineapple Delight and Cashew Dream were my favorite, making the whole experience very tasty. Day one: I didn’t do much, feeling good, not tired, no hunger pains. Mild headaches in the evening, but nothing horrible. Day two: Feeling energized, did 30 minutes of cardio. No headaches, no congestion noted. Very jealous of my family eating their dinner. Day three: Feeling great. One hour of yoga. Feeling lighter, somewhat hallow in the tummy, but not hungry. Skin looking much clearer. Really wanting to eat, day dreaming about food. I caved and had 5 almonds and a small bite of pinto beans in the afternoon. I also lost a few pounds, which wasn’t really the point, but nice. I do feel like I am less fluffy, like I lost a layer of padding and that feels really good. And I have reminded myself the I do have willpower and control over what I put in my mouth, instead of the mindless eating that I was doing. I decided this was not something I could ever do longer than 3 days, but it was very doable for the three days. It would probably be easier if you didn’t have an eating family around you. Dinner time was hardest, but once the food and dishes were cleared, I was totally fine. Plus, I got to have my delicious cashew drink which was extremely satisfying and filling. Today I am easing back into eating whole, real, plant strong foods, which started with a very creamy and satisfying green smoothie and some miso soup for lunch and dinner. I’m feeling turbo charged to start getting back to my centered, healthy self. wow Regina. really wish I had that kind of will-power. the only thing wrong with fruit – to my mind- is that it doesnt taste like chocolate! But you have inspired me to eat more raw foods. Goin to start tonight! THANK YOU! That pinkish juice at the end looks really yummy! I was going to do an apple cleanse at the end of the year but it was just too cold here in Portland and I was always told not to do a cleanse when it’s cold. Going to wait till the spring and do it then! This is really inspiring, Regina! I was thinking about doing a cleanse after all my Christmas cookie binging! Thank you for the recipes and the very enticing photos! I only have a cheap juicer (jack llane) 10 years old, what’s the difference in juicing with my blendtec? I’d probably just drink less, wouldn’t u think? Thanks for the great insight! Excited for my husband to start tomorrow! My roommate and I are finishing day 2 of the cleanse. It’s our first cleanse and it hasn’t been too bad. 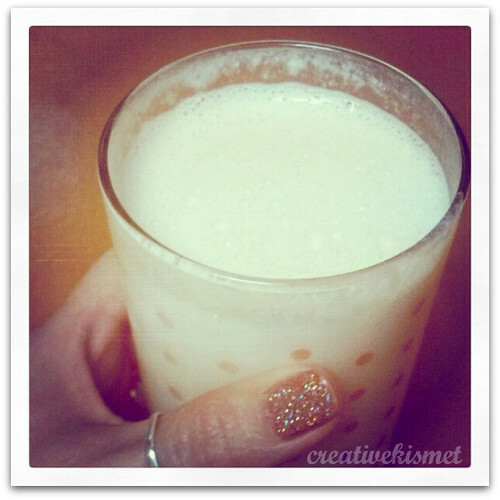 We look forward to the raw cashew milk every evening…delicious! I think it’s a good first cleanse to try! The pineapple delight is soooo good! We are going to make a cocktail with it when this is all said and done! 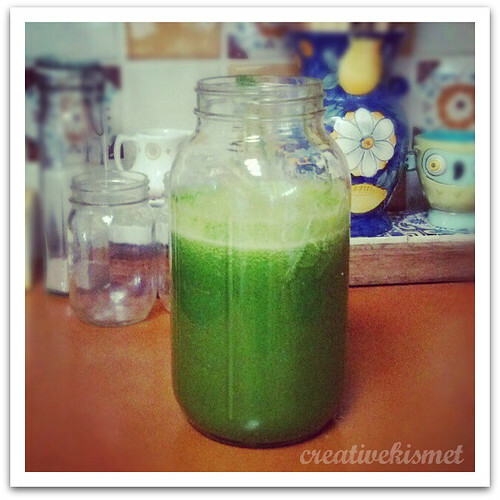 Trader Joe’s make a really good green juice that has spinach, garlic, parsley as well as fruit in it. It taste really good believe it or not. I’m on the 1st day of a 3 day juicy fast. I may go for a 4th and 5th depending on how I feel. I think carrot juice is probably the healthiest cleanse you can do, but it’s not very filling. How many pounds did you loose? It says in the post – I lost a few — three. I want to know from you that is this will be helpful for weight loss? thank you for this nice post. 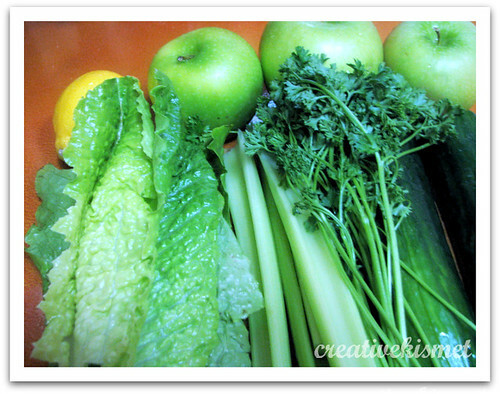 It’s just a 3 day cleanse – meant to resent your palette, your way of eating, motivate you to get on the right path, lose a few few pounds of water weight. I don’t believe it to be a sustainable or long term way to lose weight if that is your goal. 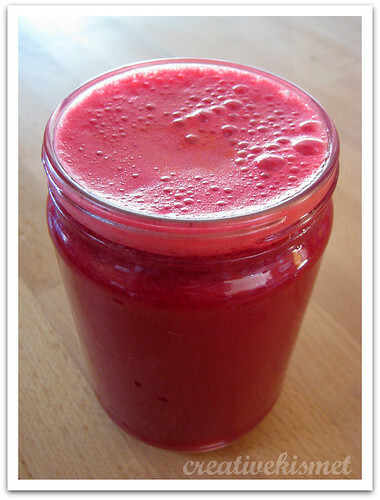 And, it is A LOT of work making juices every day for every meal.